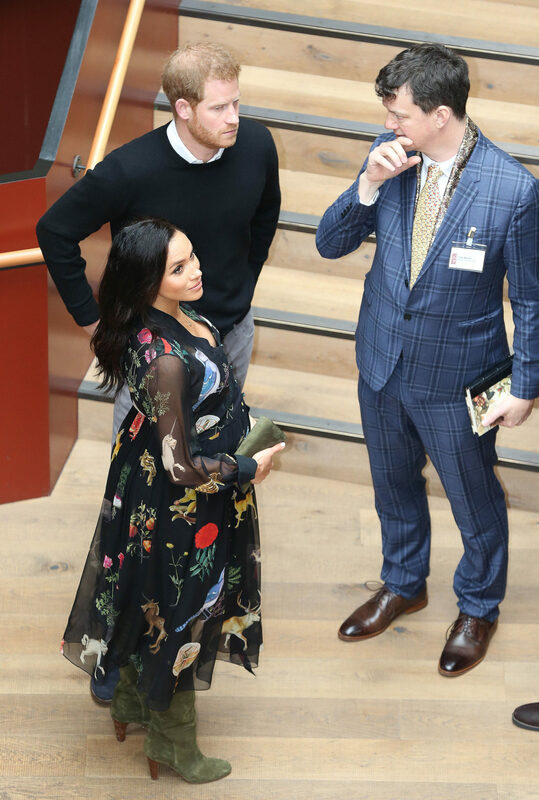 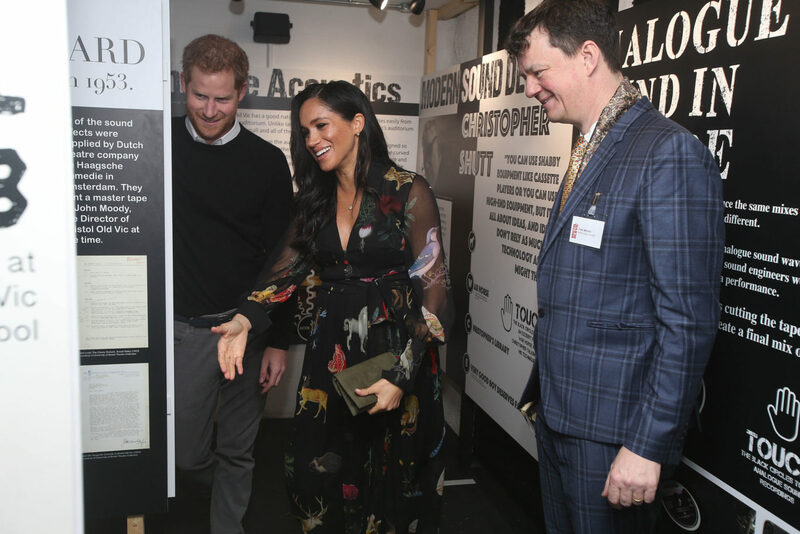 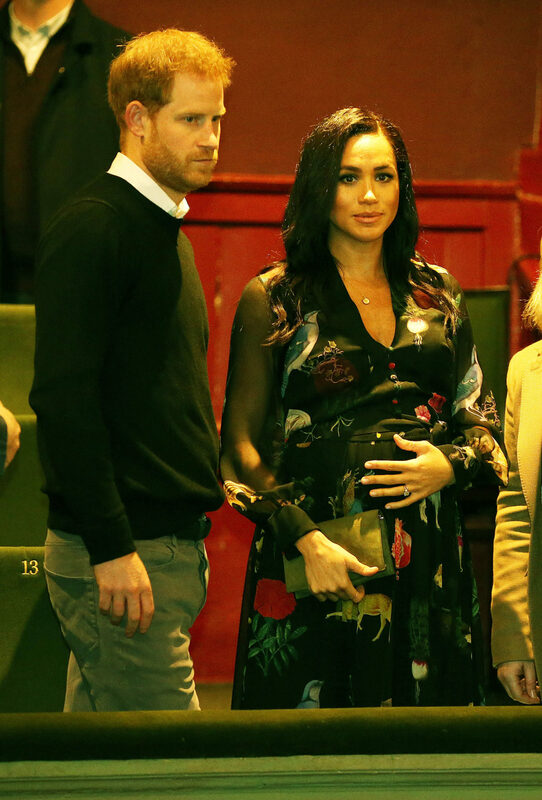 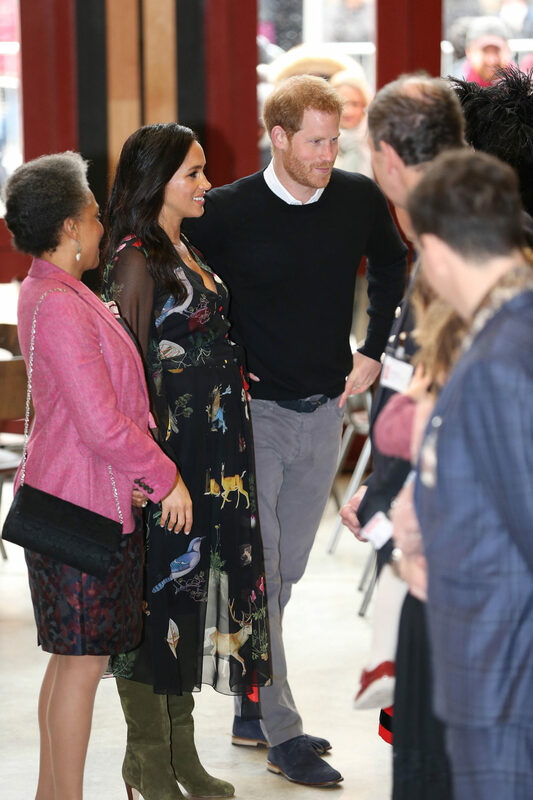 The royal couple took in a series of engagements across the city. 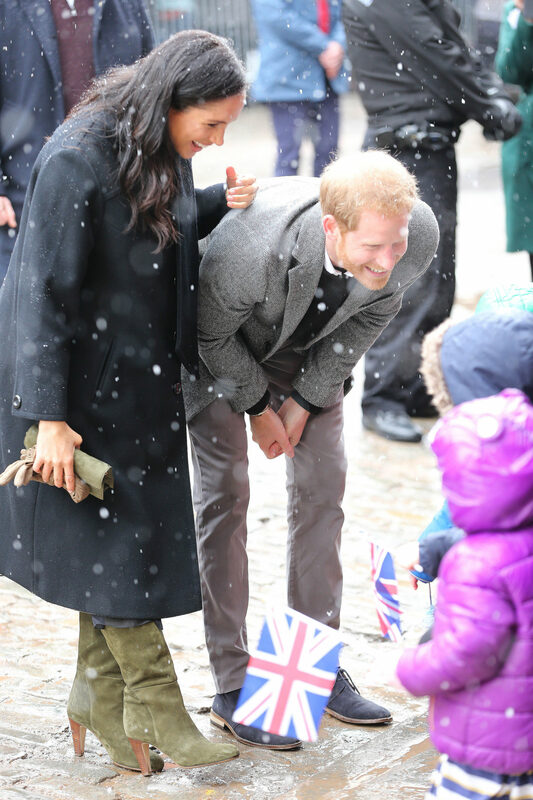 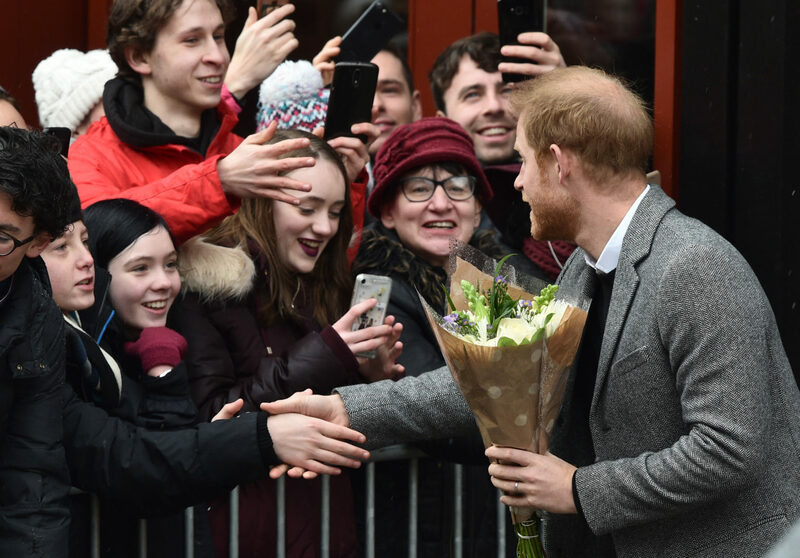 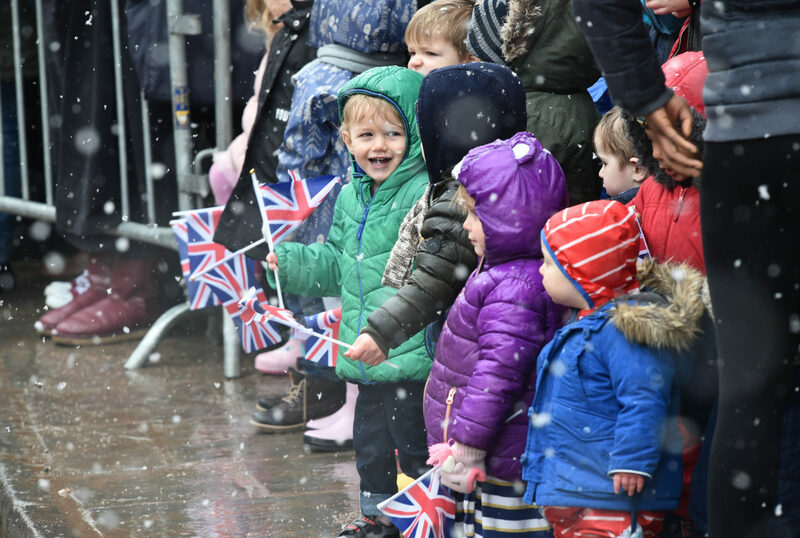 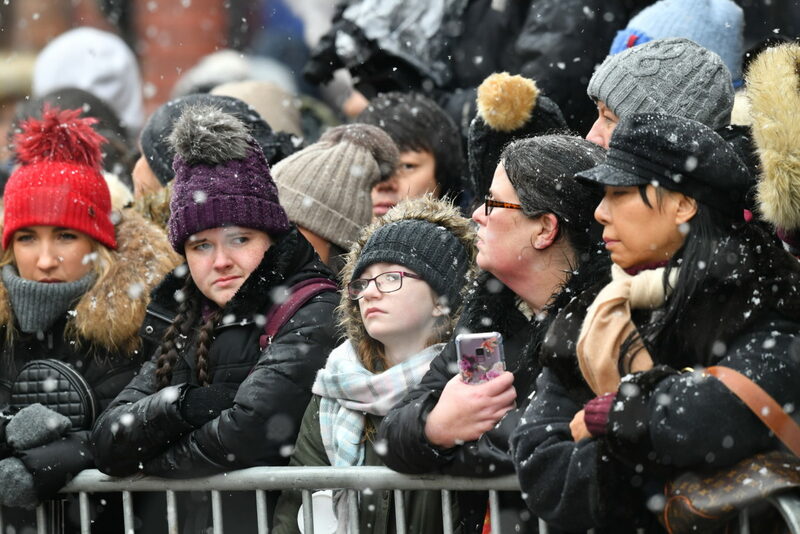 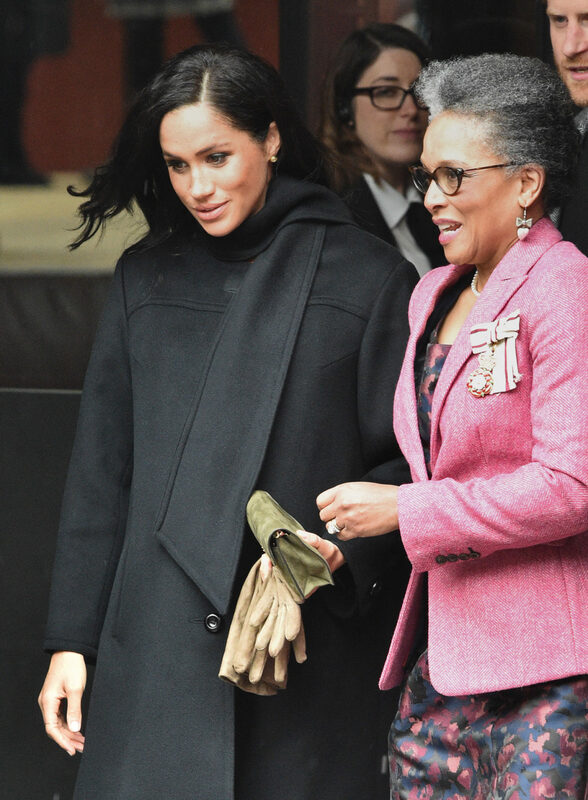 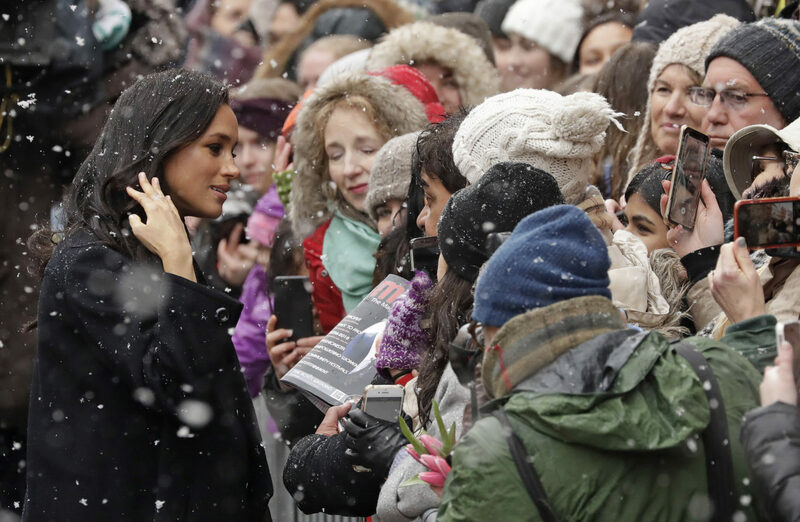 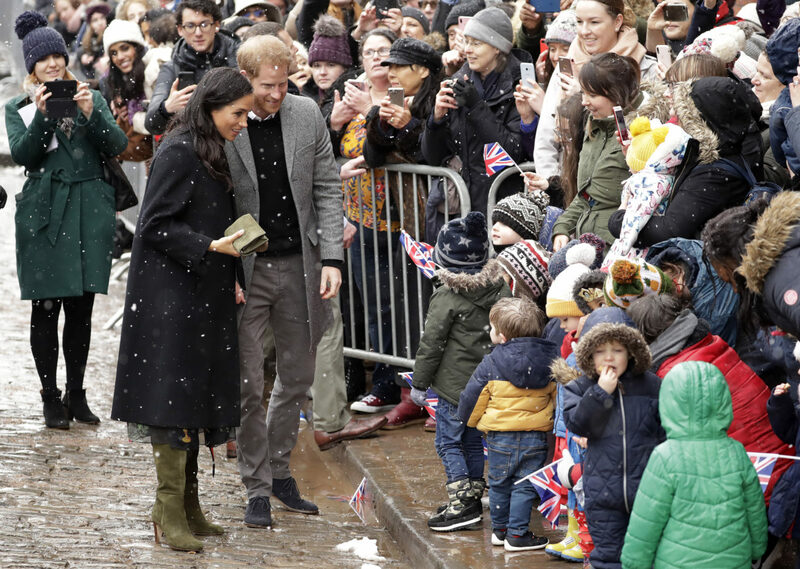 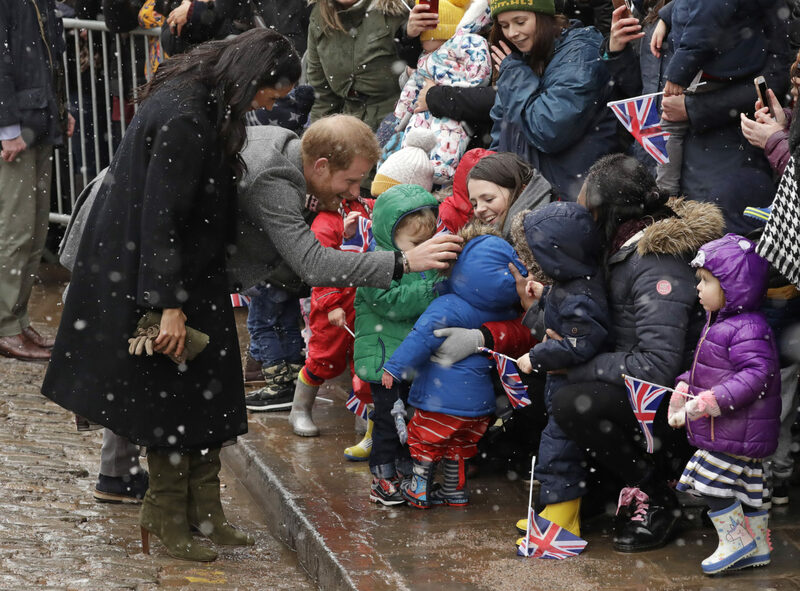 Wrapped up against the cold in a William Vintage coat, Oscar de la Renta dress and Sarah Flint boots, the duchess shook hands and asked royal fans where they were from. 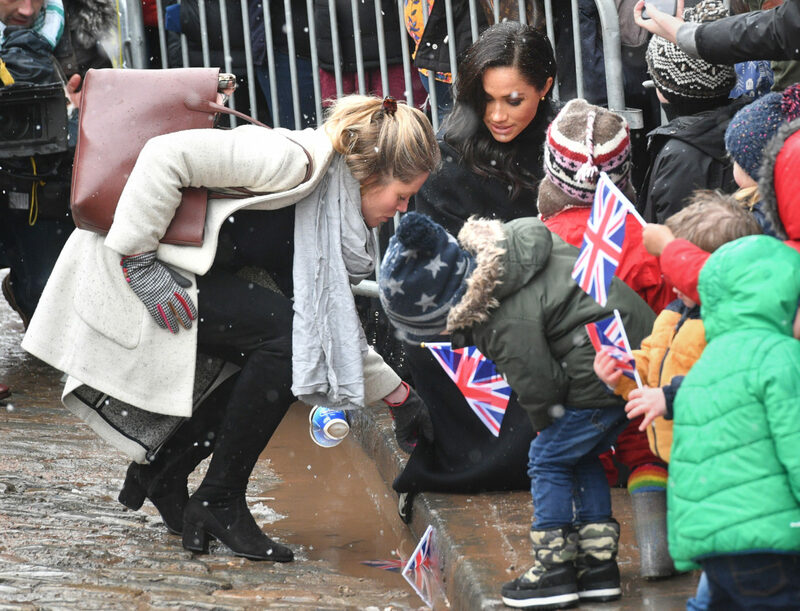 When the couple met a large group of two and three-year-olds from the nearby Abbeywood Tots nursery, they found the children were more excited about the digestive biscuits they had been given by a member of staff. 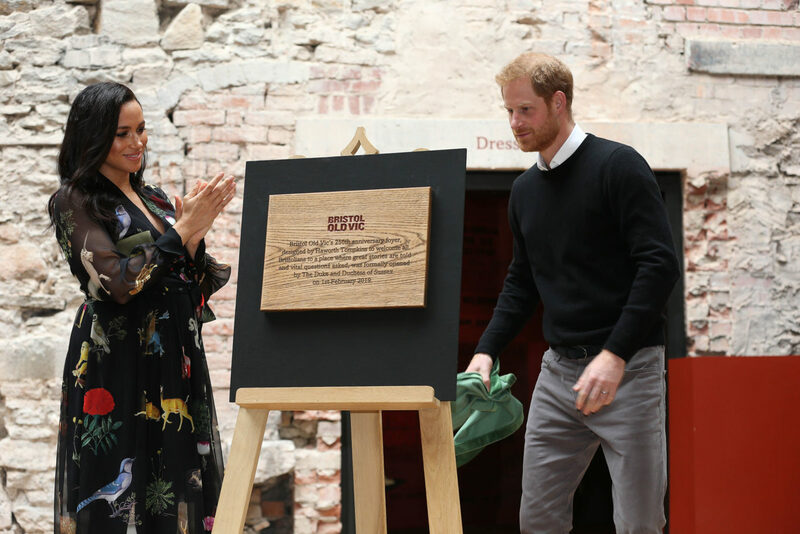 Bristol’s Georgian theatre is undergoing a multi-million pound restoration and has a unique place in British theatre history, having nurtured the talents of countless famous actors from Sir Daniel Day-Lewis to Peter O’Toole. 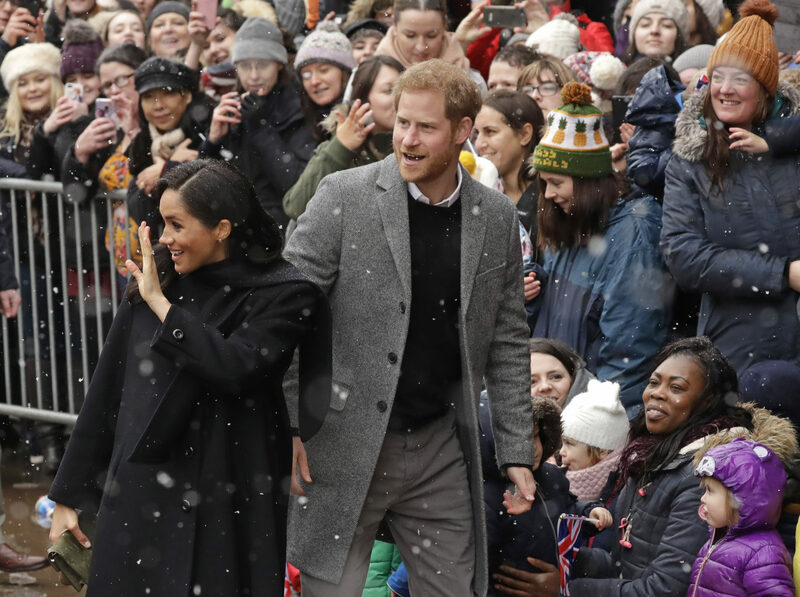 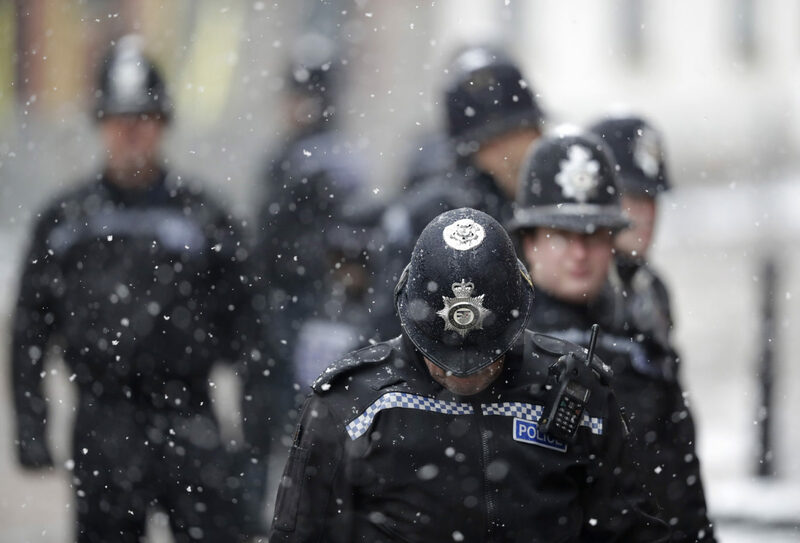 The couple had travelled by train to Bristol but arrived almost 20 minutes late for the start of their tour of the city, during which they will visit the Empire Fighting Chance, a charity using boxing to support children failing at school.